No matter how much your child enjoys school, at some point they’re probably going to try to convince you theyíre too sick for school. You may not be concerned if this happens once in a while, but when it occurs often in a week or two, you may want to know if something else is going on. As a parent you want to know if they’re trying to avoid something or someone. It’s not unusual for children at school to be mean to one another. Just think back to when you were in school and you’ll remember. Today’s kids, it seems, can be far crueler than children from past generations ever thought of being. 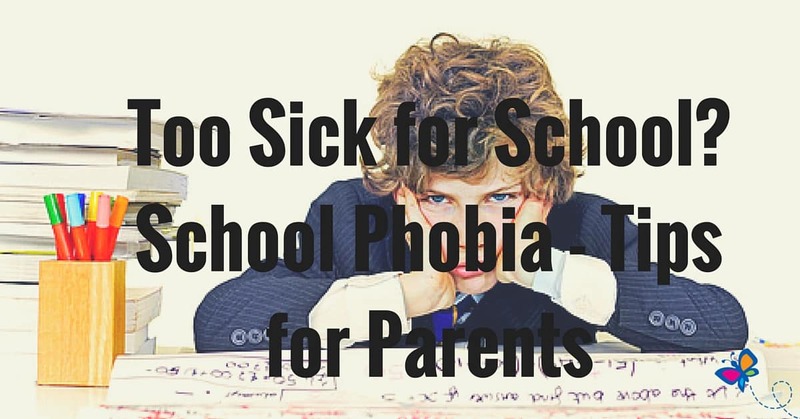 It could be this reason why your child says they’re too sick for school. When your child complains about not feeling well all week and yet miraculously gets better on Friday at 4:00 p.m., you know something is up. What are your options? How can you help your child get through whatever their problem is so they can go to school with their head held high? You want to let your child know that they can come to you and talk to you about anything. It doesn’t matter if the subject matter makes you or them uncomfortable, they’ll be glad to know they can talk to you. Being available and truly listening to what they have to say is very important. Ask them questions without sounding like you’re a lawyer cross-examining someone on the stand. You can ask them questions such as “is everything okay at school” or “are you having problems with someone at school” without it sounding like the third degree. If they will answer you without looking away or avoiding the question, things are probably alright in that area. It’s when they begin avoiding your eyes or stammering to find an answer that you may have hit on the problem. They may not being doing as well in school as they think you expect them to, so if they’re not in school, they may feel they have an excuse. There may be another student who is causing them stress by bullying them. If there’s a new baby in the home, your child may simply be feeling left out and trying to be at home with you and the baby. Have there been changes in your home such as a death in the family? Perhaps your child is afraid to let you out of their sight because they’re afraid you’ll die, too. There are many reasons why a child may claim to be too sick for school. Try to determine what their reason is by talking to and really listening to what they’re saying and not saying. When you have the reason figured out, you’ll be better equipped to determine the best course of action to take.